2011 already passed around a few minute ago. For me, many thing happened especially is chess that cannot be forgotten. Flash back a few tournament that I participated. No 25 - Pertandingan Catur Terbuka 1 Malaysia , USM Kampus Kejuruteraan (20 February ). N0 11 from 17 player in Kedah Blitz game during AGM for Persatuan Catur Negeri Kedah (5 March). No 21 - Pertandingan Catur Terbuka Gula Perlis ( 1 May). No 7 - Pertandingan Catur Terbuka Kedah , Sungai Petani. No.3 - Mind Chess Open for category A. National rated event. N0 13 (Best IPT) - Pertandingan Catur Tertutup Kedah 2011. 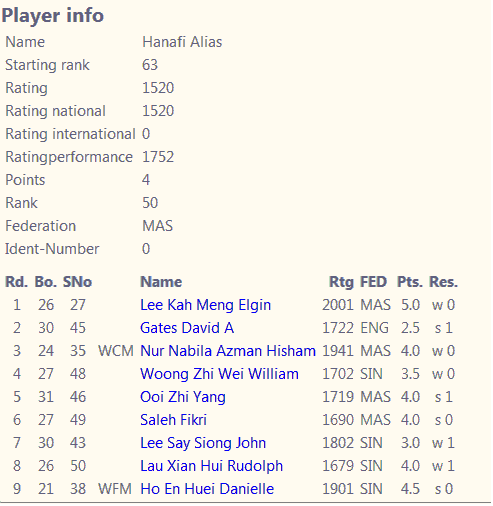 No 11 (Team KAMI) - penang chess league ( best board for board 3: 6/6 point). Team member: Abdul Aziz Mohsid, Azudin Abdullah , Alias Hanafi , Zulkifli Talib & A'amaluddin Bebakar. No 50 - Penang Heritage City International Open. Get first Fide rating after 4 win againt 9 fide rated opponent. Only achieve Fide rating 1752. Will get more good rating if the result is better than this.